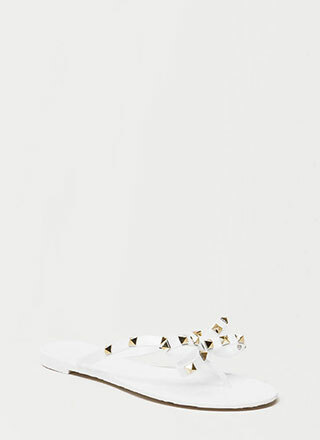 Do not underestimate these shoes. 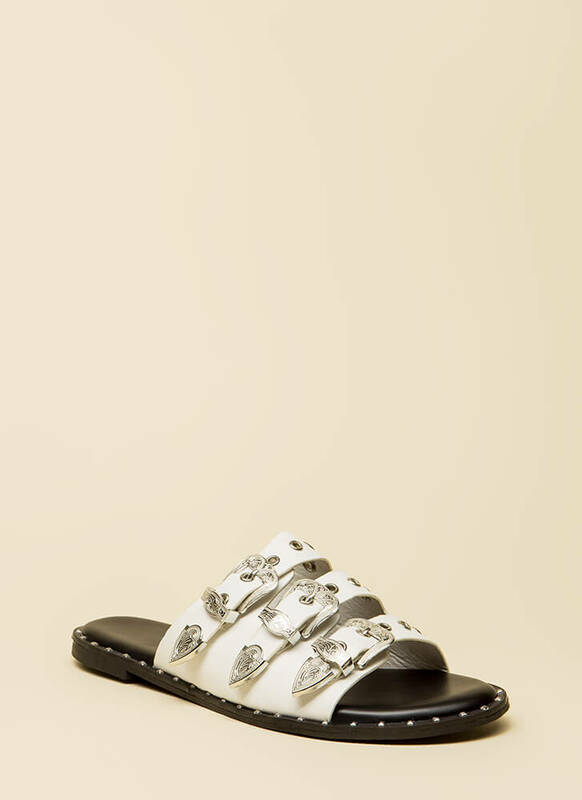 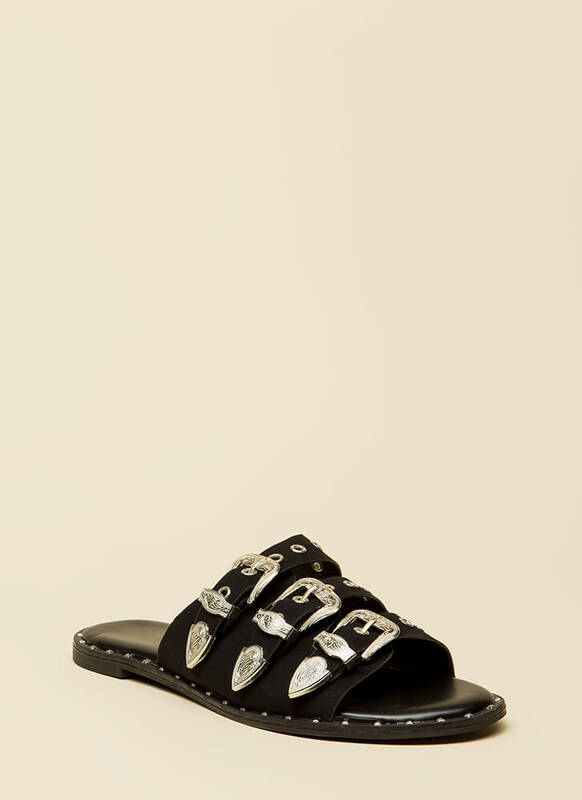 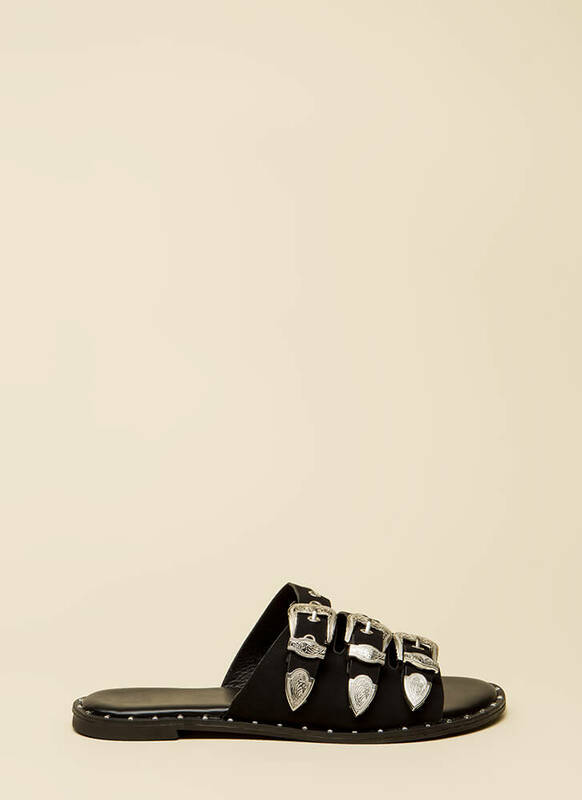 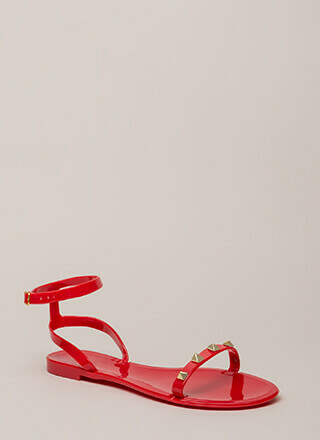 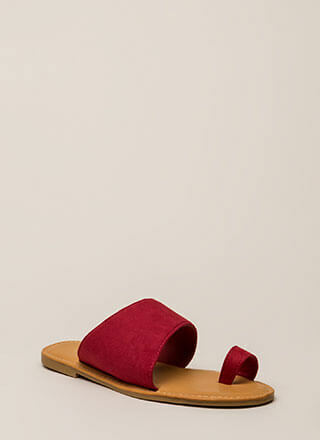 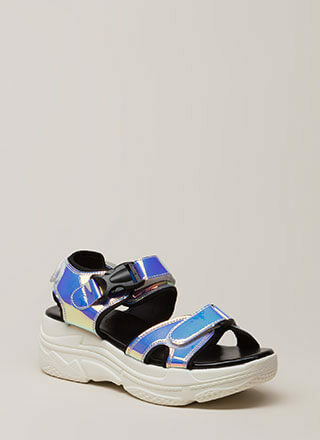 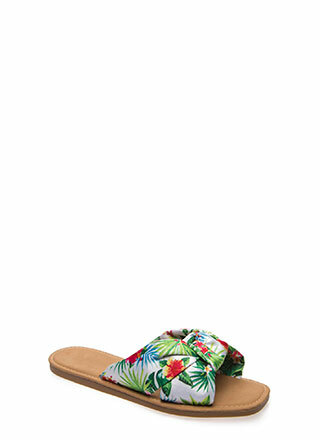 Open-toe vegan leather slide sandals feature studded detailing along the perimeter and a wide cut-out toe panel with three straps that are punched with grommets and finished with decoratively engraved buckles. 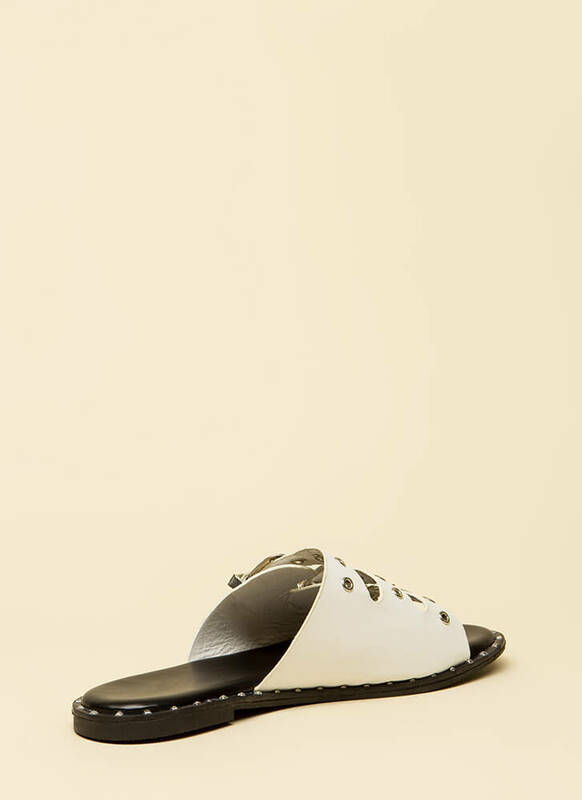 Shoes also include a ridged sole and no closures.